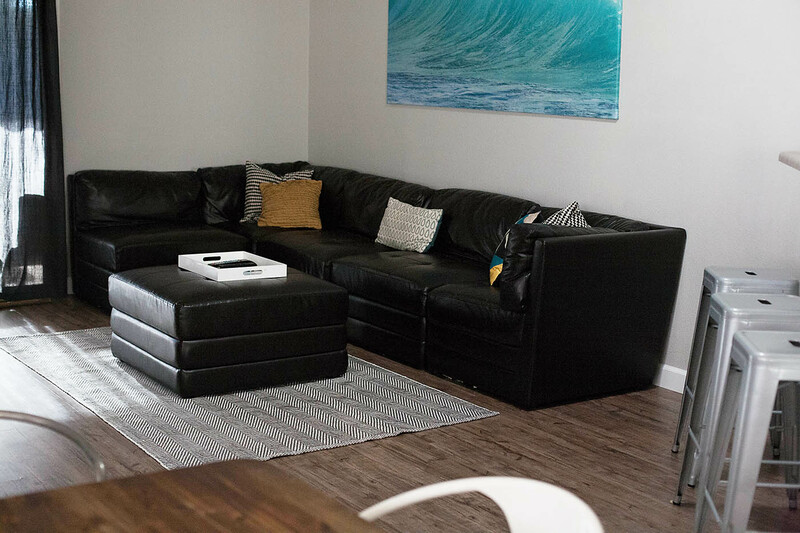 I wanted to share the final photos of my family room re-do! At our old house we had a really deep family room so I got a sectional to float in the middle of the room. I wasn’t ever in love with the sectional and never liked lounging on it much to watch movies (which is what this room is for right?!) so I finally decided it was time to get some new pieces in here. I started with the sofa and chair. I wanted a deep super comfy, cuddly sofa that 2 (or more) people could comfortably lay on to watch a movie. 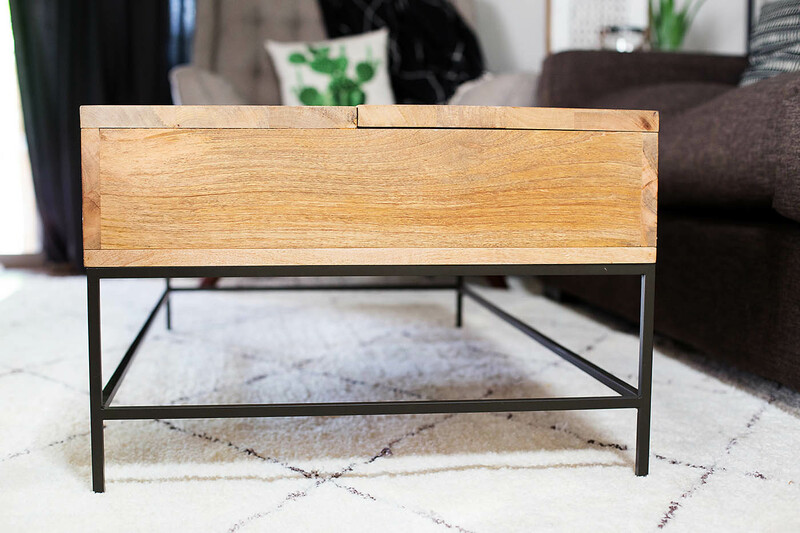 We looked everywhere and while I fell in love with a couple at Crate and Barrel and Restoration Hardware, they just weren’t in my budget this year. I ended up finding this Cordelia Sofa Living Spaces and after having it home I’m REALLY happy with our purchase! 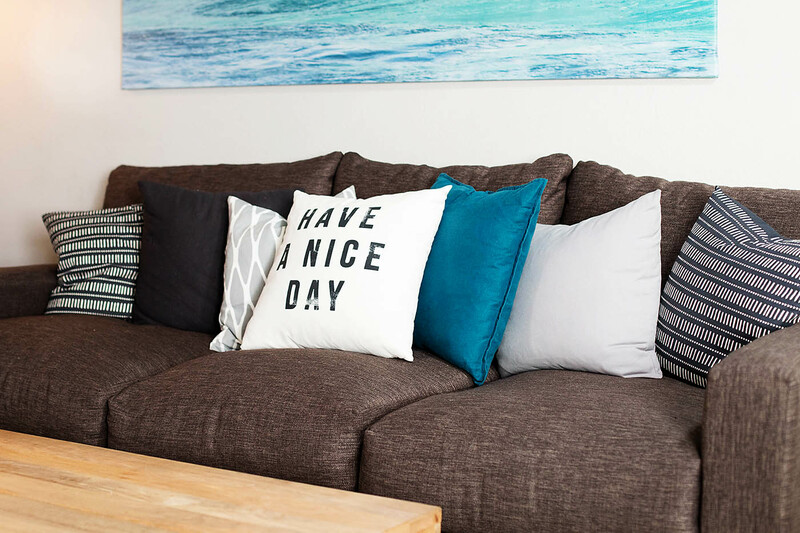 The cushions have a down envelope and the sofa is 47″ deep with a great fabric to hide the inevitable stains. 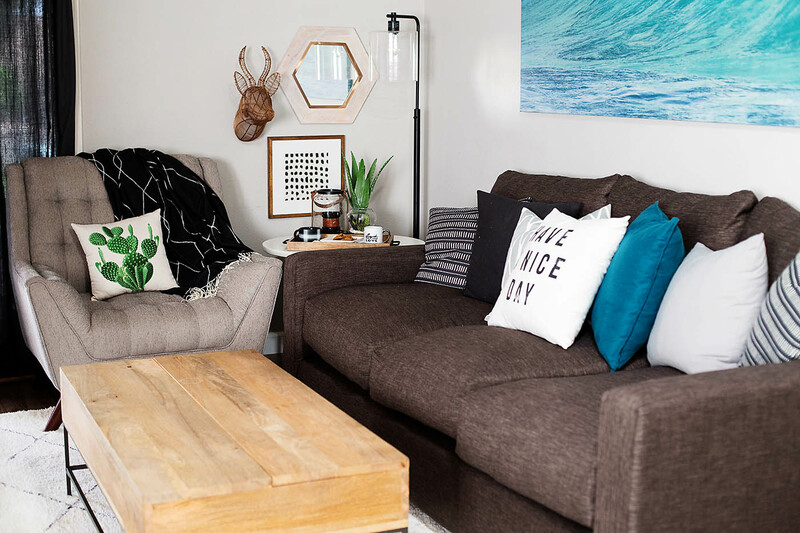 The cushion covers that came with the sofa weren’t really my style so I already had some ordered from H&M Home. I LOVE shopping this site! They have great styles at great prices. I’ve bought a few duvets from them too. 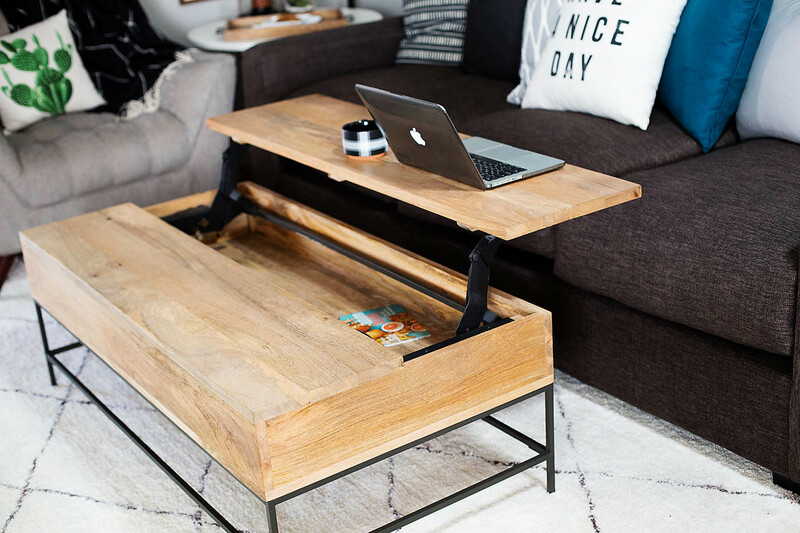 This coffee table is another story. Jared actually picked this one out at West Elm. We shopped all over the valley and had decided on this one but I decided to check Down East Home (they put one in in North Phoenix yay!) and guess what we found for a few hundred dollars less? Yep. Our coffee table. It’s sitting a bit off which may be why it’s there but we haven’t looked at the hardware yet. We figured that we were going to be hard on it anyway. We love this piece! The last thing I purchased was the rug. I was brave and went for very light cream even with 2 boys and 2 dogs. We’ll see how it holds up! Any tips on keeping it clean? 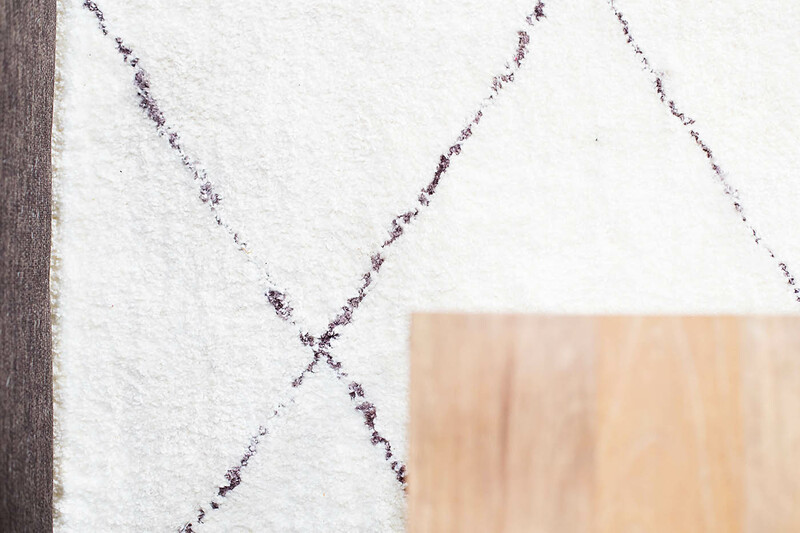 This one is the Keno Moroccan Shag Rug from Rugs USA. I got it for 80% off during a sale. It’s definitely whiter than it shows online which was a good thing for me (I went by the reviews and trusted that it wouldn’t look yellow). It really is super soft and not as “shaggy” as the other moroccan shag rugs they have. I’m not sure if that’s a good thing and a bad thing but I’ll try and remember to let you know how it’s holding up. For now we love it. 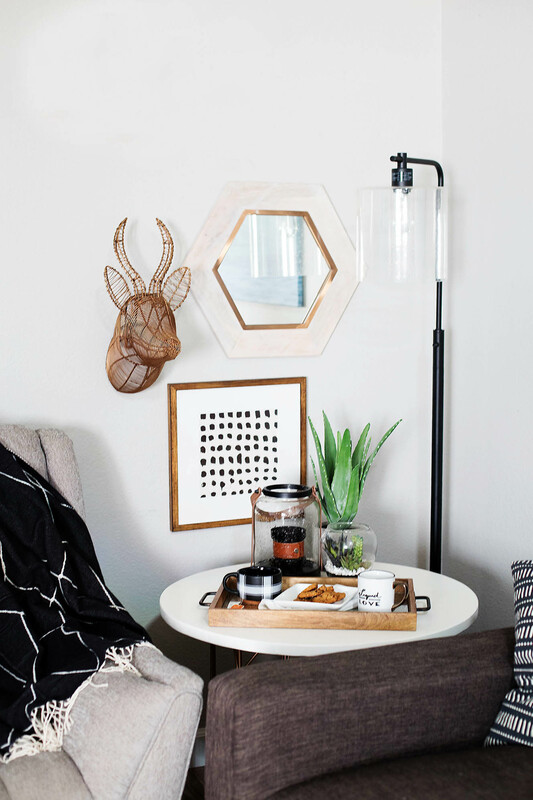 The fun corner has our DIY side table and accessories for Fall from Target. What do you think? A bit better than before?! 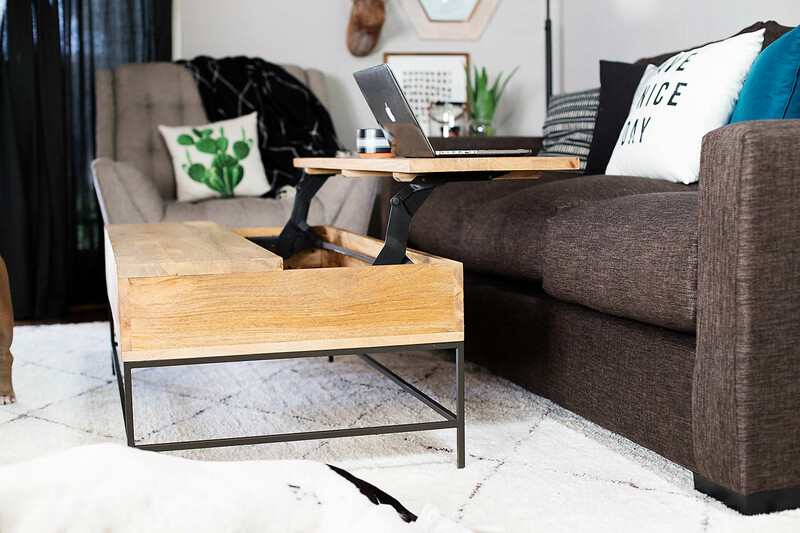 Love that coffee table! so functional and stylish! and I love looking at DEH for stuff! LOve your remodel. Where did you get chair? Hi! Your living room is lovely! I found your blog when searching for reviews on Rugs USA’s Keno Moroccan Shag Rug. 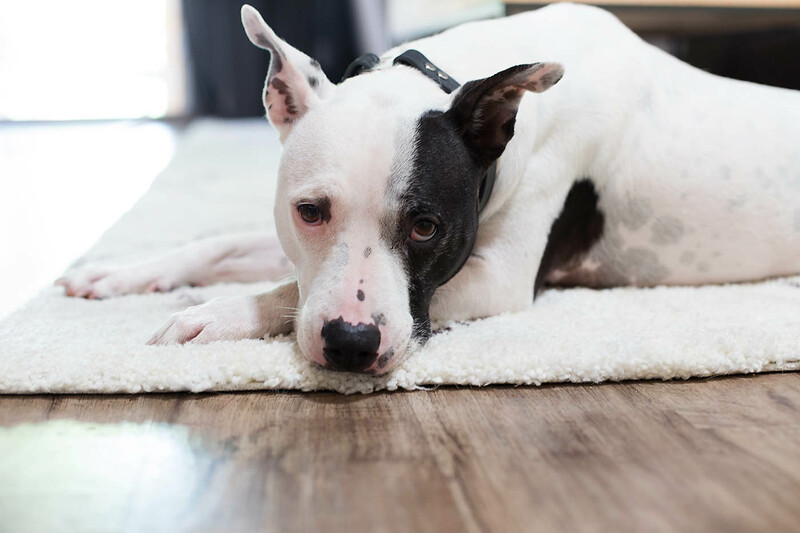 I was curious to get an update on your thoughts on the rug….specifically, did it shed? It didn’t shed all over the house but sheds quite a bit when vacuuming. Unfortunately it didn’t clean up well for me and with dogs and kids it just looked dirty and dingy pretty quickly. I tried a floor cleaner on the gentlest setting and it just kept getting clogged with the sheddings so I had to get a new rug. I LOVED the look, feel (and price) of it though.